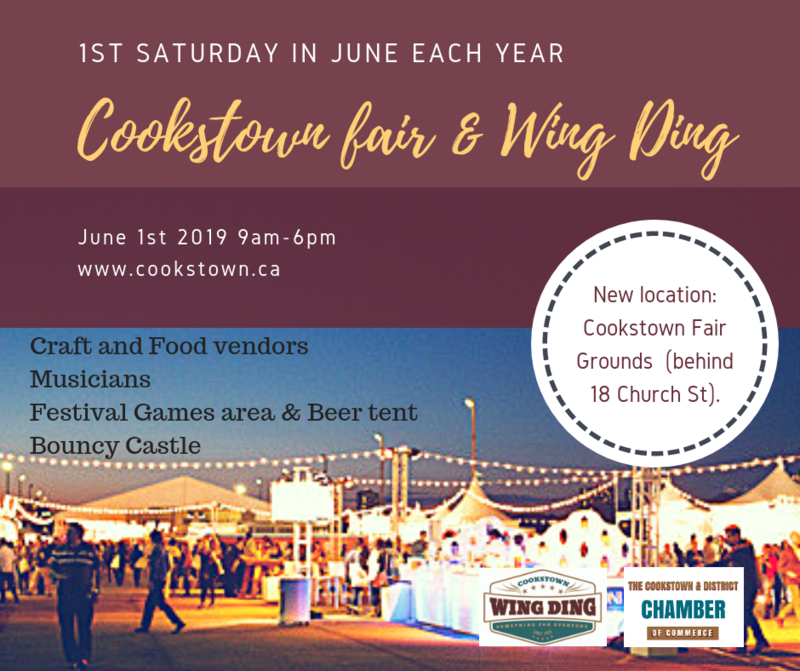 Cookstown Wing Ding is a town-wide yard sale that has grown into a fun family festival with food trucks & beverages, games, park area, music stage and bouncy castle. Never know what you’ll find but always fun. Due to new developments and construction in Cookstown Dufferin Street is no longer an option for our vendor area. We are moving to our new fair grounds where we have a new band platform, a park for kids, vendors area, beer tent area, bouncy castle and festival games. The whole town is full of yard sales... community wide! Come find your treasures!